Join Metal Supermarkets: The world’s largest supplier of small-quantity metals! USD with very solid margins! 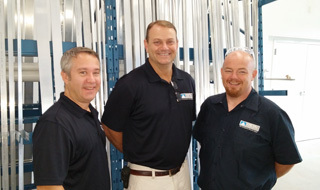 With over 100 years of combined experience, our team is here to help you grow your business. Metal Supermarkets is devoted to providing entrepreneurial-minded business people the opportunity to build a business to help them prosper financially and in their personal life. Metal Supermarkets specializes in small-quantity metal distribution with no minimum order size. We are the world’s largest small-quantity metal supplier with over 80 brick-and-mortar stores across the US, Canada, and United Kingdom. Over 60,000 customers rely on Metal Supermarkets for fast and convenient access to quality metal-related products and services. When it comes to metal and metal-related products and services, nobody beats the versatility, convenience, and sheer variety of Metal Supermarkets.